When will be Street Outlaws Versus next episode air date? Is Street Outlaws Versus renewed or cancelled? Where to countdown Street Outlaws Versus air dates? Is Street Outlaws Versus worth watching? 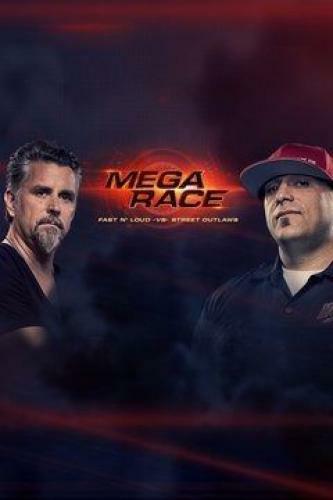 It is the final countdown as fans all over the world are waiting for the Mega Race on Discovery Channel in Street Outlaws Versus! The clash of the titans some might call it as it sure gives such taste. Tonight, we see two amazing garages competing against each other! We have The Street Outlaws on one hand, and Fast N` Loud on the other hand! Of course, The Outlaws are led by Big Chief, head of Midwest Street Cars. These guys might be a little bit in the asset as they are real street racers! Gas Monkey Garage guys, however, spend most of the time building cars and then sell it for profit. In the other corner now, the Fast N` Loud guys thought of contracting Aaron Kaufman to be their racer. As he is the leading mechanic, he is also the leading Gas Monkey Garage racer. Maybe their knowledge of building cars can make up for Chief`s knowledge of street racing. Big Chief was not very modest either, he literary said that they should win these guys who put too many jingles and screaming in their show! The 405 tries to prove they are the fastest on the street against Ohio. Chief and Richard get into it about who will drive their cars; Farmtruck and AZN have to wait on Aaron; the drivers face-off. Street Outlaws Versus next episode air date provides TVMaze for you. EpisoDate.com is your TV show guide to Countdown Street Outlaws Versus Episode Air Dates and to stay in touch with Street Outlaws Versus next episode Air Date and your others favorite TV Shows. Add the shows you like to a "Watchlist" and let the site take it from there.